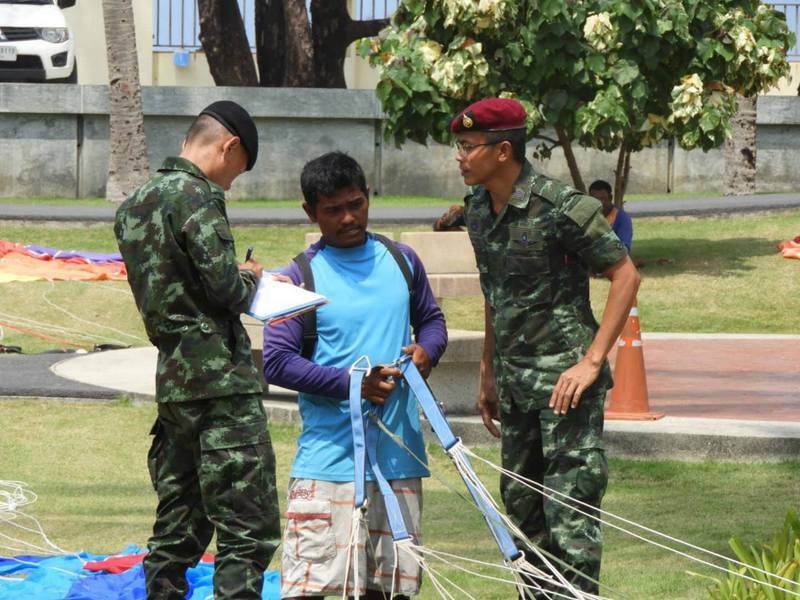 PHUKET: Three parasailing operators at Kata Beach were found today to have unsafe parasailing equipment, the Phuket Marine Office has confirmed. 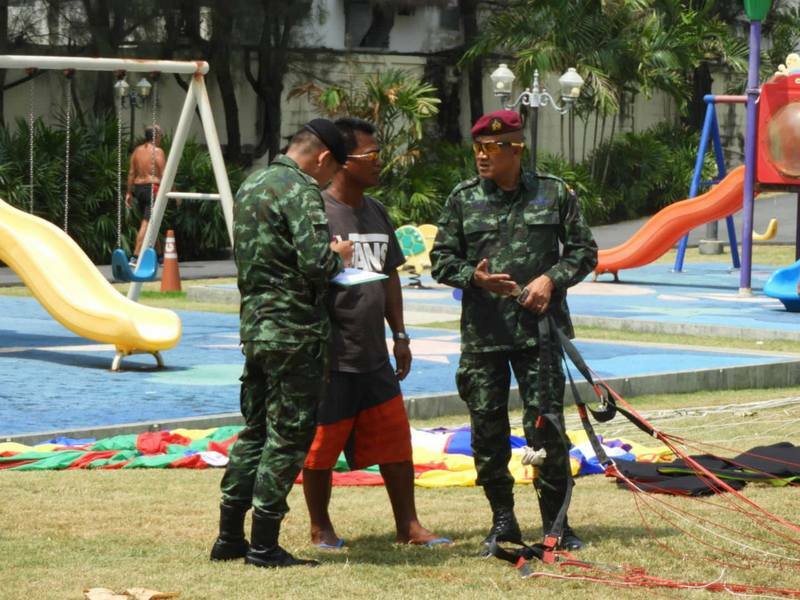 The unsafe harnesses were discovered by paratroopers from the Royal Thai Army Region 4 base in Nakhon Sri Thammarat conducting safety inspections on behalf of the Phuket Marine Office. The safety checks conducted today were the standard six-monthly inspections, Wiwat Chitchertwong Acting Director of the Phuket Marine Office, told The Phuket News today (Mar 25). 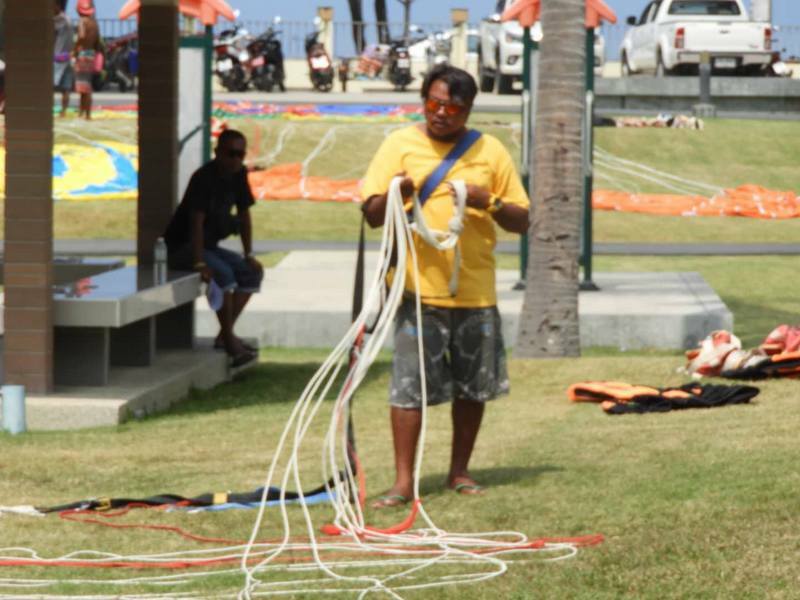 “The Phuket Marine Office wants to take care of the safety of people wanting to parasail, and so we have the parasailing equipment checked every six months. 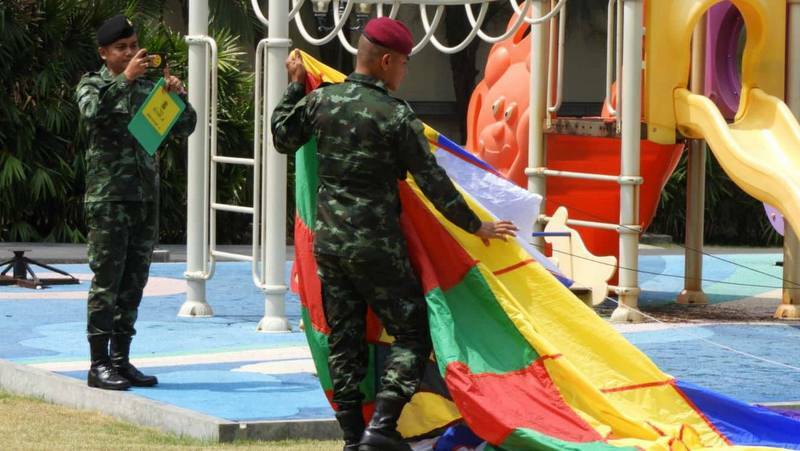 We invite paratroopers from Army Region 4 at Nakhon Sri Thammarat to inspect the equipment for us,” Mr Wiwat said. “The paratroopers check that the hooks and clips, ropes and chutes are safe and in accordance with safety standards,” Mr Wiwat noted. 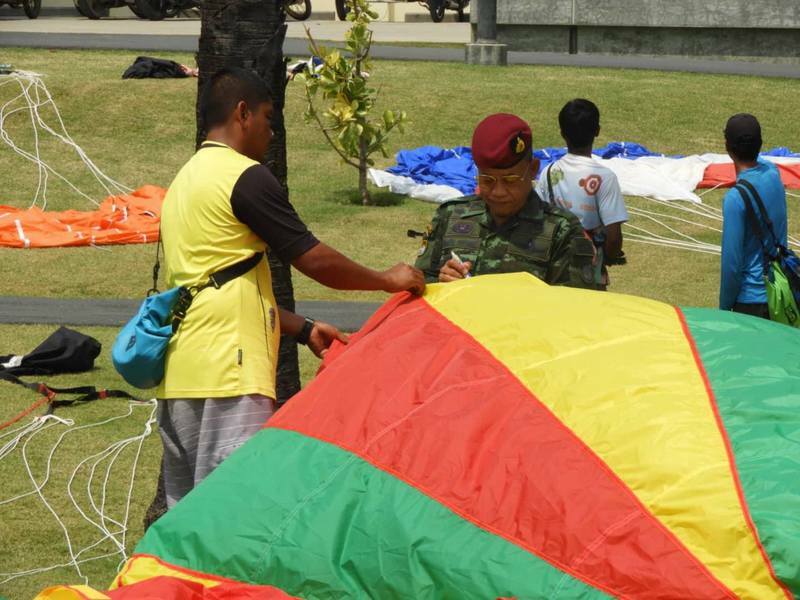 Parasail operators at the tourist-popular Kata Beach were informed previously that they would have their equipment inspected today, Mr Wiwat said. And still, three operators were found to be using unsafe equipment, he confirmed. “Three boats failed to pass inspection because the hooks were damaged and the size of the rope used was not standard,” Mr Wiwat explained. Regardless, the operators caught with unsafe equipment today will not face any punitive measures. 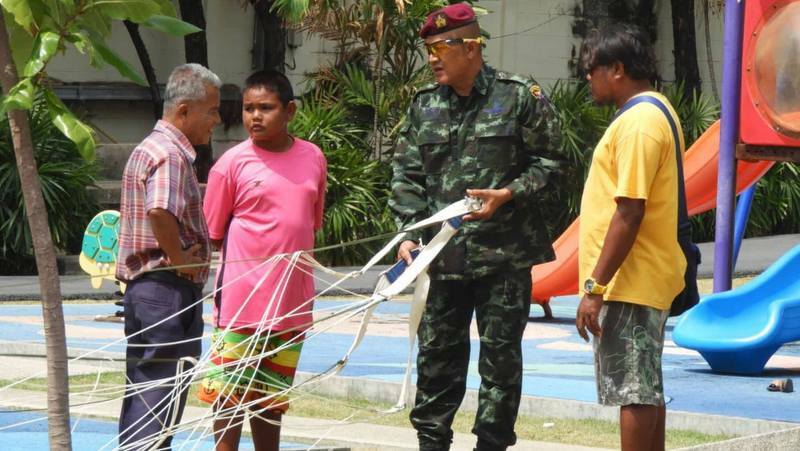 “We let them take the parasailing equipment back so they could fix it and present it back to us for a second inspection,” Mr Wiwat said. The parasail inspections are to continue for the next two weeks, Mr Wiwat confirmed. “We have 25 parasail operators with 30 boats in total, operating at Kata Beach, Karon Beach, Patong Beach, Bang Tao Beach, Rawai Beach, Koh Naka Yai, and Koh Hei (Coral Island). 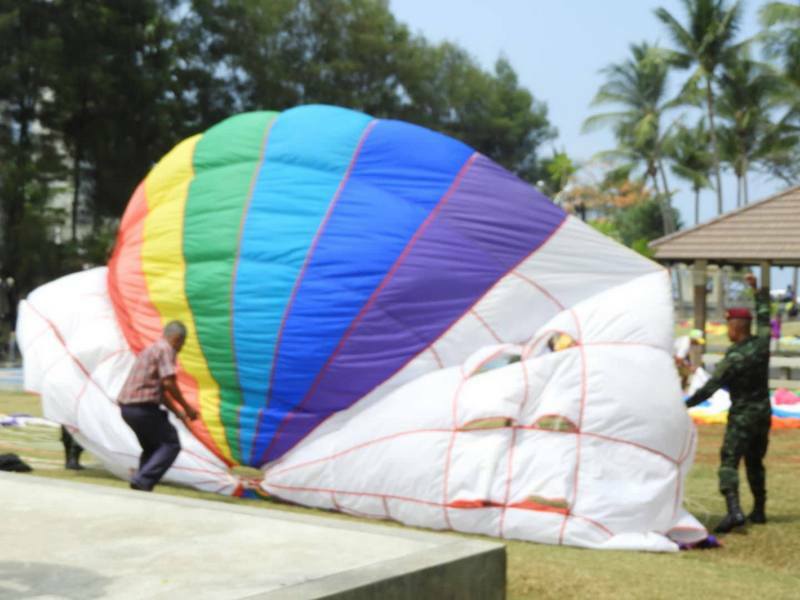 “All of them must present their parasailing equipment for inspection,” he said. “We are scheduled to conduct more inspections in June, but we have not set an exact date for that yet,” he added. 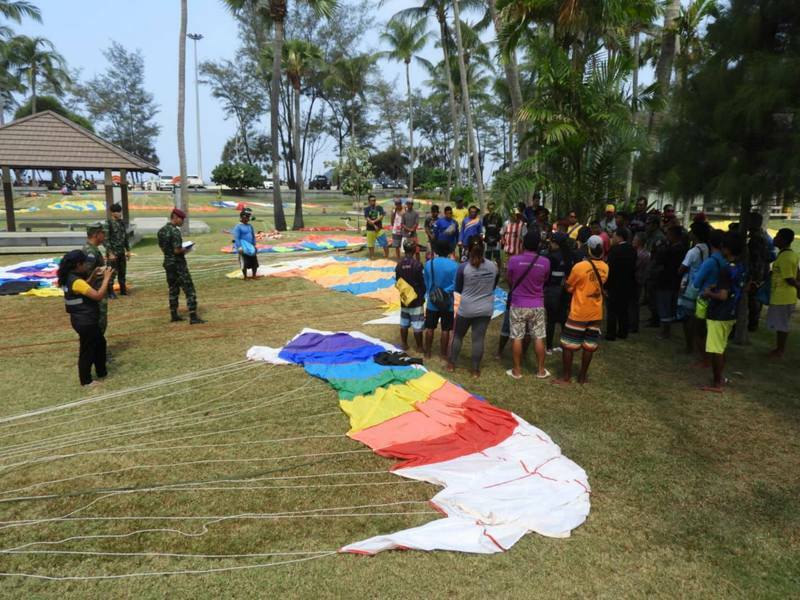 Any parasail operators who are found to repeatedly have unsafe equipment stood to have their operator’s license revoked by the Phuket Marine Office, Mr Wiwat warned. Why does khun Wiwat, acting director of Phuket Marine Office needs the Army/Navy to do his job? Missed Kamala off the list. Guess they aren't operating on a daily basis there!